Get 6,000,000 FREE Coins to Start! Will you be the next Las Vegas High Roller Billionaire? Play the Best New FREE Slots Casino Game on the Windows Phone ™ Store for 2015 / 2016. 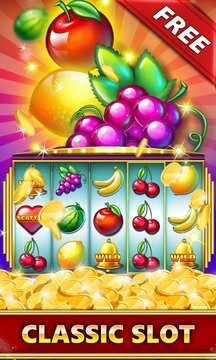 Slot Machine (FREE) from the house of MegaRAMA® includes the brand new Jewel Splash ™, Lucky You ™, Fruit Machine ™ and King of Fortune ™ Slots Games. Some of the most stunning graphics & top sounds on the Store will have you playing for hours of endless fun as you journey through a classic Vegas downtown casino. DOWNLOAD NOW FREE TODAY! YOU WILL LOVE OUR SLOTS! Unlike other slots pokies games, Slots Machines is 100% FREE, so that you can truly enjoy a Las Vegas Casino slots experience, without the need for an expensive plane ticket & hotel booking! You will love our new slots game, with massive MEGA payouts way above other games. Some of the loosest slot poker machines you will find online! Feel the excitement of winning without needing to pay out real money! Also, our 2x Win Feature lets you double down whenever you have a winning game. 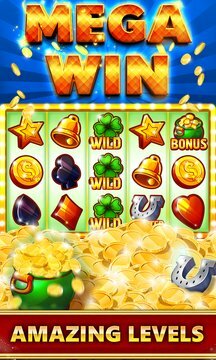 The Wild will fire you up and helps multiply your chance to Win Big! Our multi-line slot machines give you many chances to hit the jackpot and get lucky! Includes over 25 Pay Lines. Play for Vegas’s Bonuses where you can win huge jackpots. Pick 1 of 5 mysterious treasures, but make sure you choose correctly if you want to get MEGA RAMA rich! Come back and keep playing & reap the rewards! Get hourly FREE COIN bonuses for coming back using our Fortune Wheel Spinner. Get instant 6,000,000 coins FREE and keep playing to become a pokies millionaire! Like our game? Help a small indie developer out by leaving a nice review on the WP10 Store! ✓ This app is for fun only! You can’t win real money in this game! ✓ This game does NOT contain any in-app purchases, nothing to buy! ✓ Playing Pharoh Slots does not reflect actual game play of any land based or online casino involving real money gambling. The win odds and payouts are higher than slot machines in real money casinos. You should not expect similar results based on wins here! ✓ Windows Phone is a trademark of Microsoft Inc.
WHAT ARE YOU WAITING FOR?! ;-> DOWNLOAD & PLAY NOW!